OK, I am competing for my school at the indoor games and I'm a good runner, but I still want to do better. 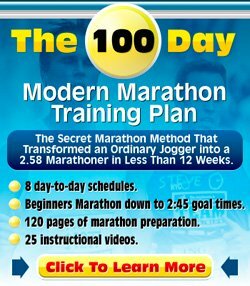 What can I do to "train" or help my body become faster, over the long winter? And do you know anything about Ancaster roadrunners? I'm thinking of joining that running club!!! I am assuming it is going to be a while before your races start. Therefore it is too early to do any race specific training. Faster running training methods like intervals and fartlek are great ways to make you faster in a short time. But it is very hard to maintain that speed throughout the year. That's why the winter is best for building your base. So lots of easy running. I think it is a great idea to join a running club. I am, however, from Australia, and therefore not in the best position to advice you about Ancaster Road Runners. It would be hard to find people who are further away from eachother than we are, Julia! The great thing about the internet though is that I have been able to give a little piece of advice to you. Hope it helped.